This is a rather eclectic mix of tracks, including Bob Marley & The Waliers 1965 recording of White Christmas and several new vocals over older rhythms, but mainly consists of contemporary 21st century New York recordings. Johnny Osbourne's Christmas Time (on the I Hold The Handle rhythm) was previously released on a 7" single as Merry Christmas. 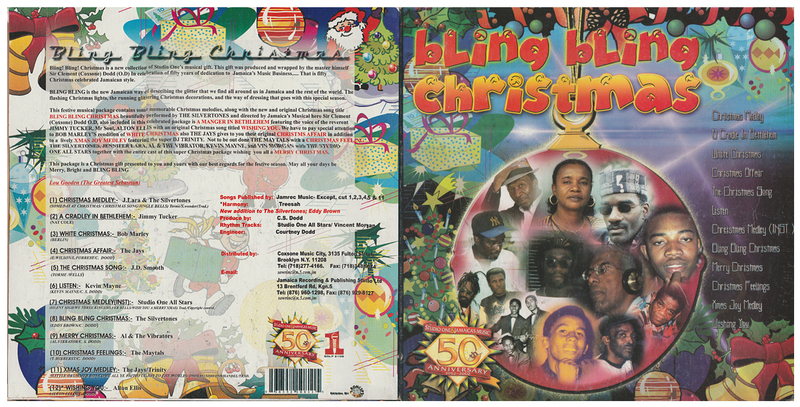 Christmas Again by Alpheus is on the Hot Milk rhythm, Bling Bling Christmas is a version of I Shall Be Released, and Merry Christmas by Al & The Vibrators is a vocal cut over Richard Ace's More Reggae instrumental.